← How to install IIS 8? Windows Server Update Services (WSUS) is used to distribute Microsoft patches, hotfixes and security updates in an environment. WSUS is counted as a basis of security management to make sure every computer is up to date and does not have any security vulnerabilities. It is a role in Windows Server 2012, also it can be downloaded from Microsoft web site and installed on server. 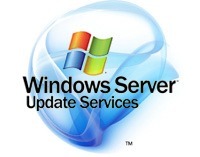 Scroll down to select Windows Server Update Services. Some features like .NET and IIS should be installed before WSUS installed. So hit Add Features button to install them. The click on Next 4 times.